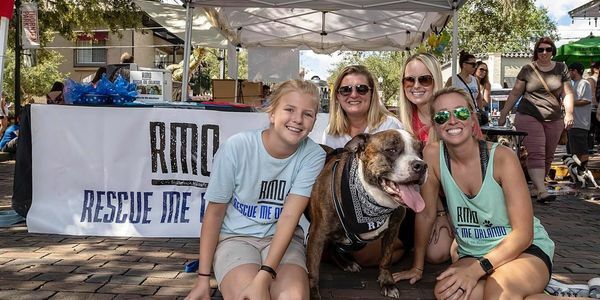 In December 2018, Orange County Animal Services (OCAS) put an end to the rescue contract with Rescue Me Orlando - Shelter Dogs, Inc (RMO). This decision was made because of comments that followers of the RMO Facebook page posted when a dog was euthanized due to another rescue group backing out from pulling the dog. These comments were not made by RMO. In 2018, RMO helped save the lives of hundreds of dogs at OCAS. They donated over $33,000 to other rescue partners to help support the dogs they took in from OCAS. RMO also contributed over $9000 to adopters who needed help with medical bills and training for dogs that were adopted from OCAS. RMO spent countless hours at OCAS and made hundreds of videos of the dogs that have been shared on Facebook. These videos have helped the dogs find their forever homes. They have found fosters who saw past the labels that OCAS had put on some of the dogs. For others, rescues were able to take a chance on the dogs and provide them with safety. Without donations gathered from RMO, many of these rescue partners may not have been able to afford to pull them and hundreds of dogs would not have made it out alive. Rescue Me Orlando has stepped up so many times for the dogs at OCAS. Now, we need to step up for them. Please sign this petition and ask Orange County Animal Services to reinstate the contract with Rescue Me Orlando and allow them to continue to do what they do, save the lives of dogs at OCAS.